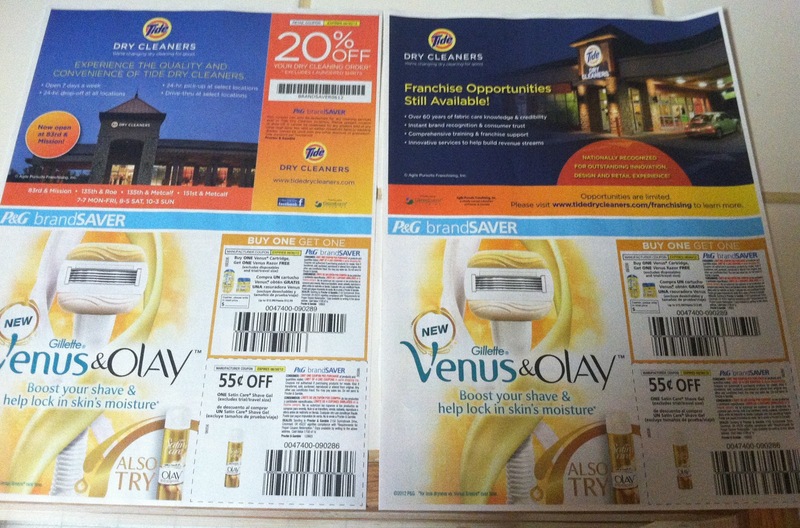 Depending on which newspaper you received, you may have found 2 or 3 coupon inserts in today's Sunday paper (P&G, Smart Source, Red Plum). In this area, the Kansas City Star and Wichita Eagle are your best opportunities to find a paper with all three inserts. If you are a Salina Journal recipient, you will only find two inserts (P&G, Smart Source). What many people don't realize is that even though you may find the same two inserts in two different papers, the coupons will still vary slightly at times. For instance, I purchased a KC Star and picked up coupons from my parents' Salina Journal. Both contained the new P&G coupons, but one featured a dry cleaning coupon that the other did not. It doesn't happen to be a coupon that will be useful, since we don't have a Tide Dry Cleaning facility anywhere nearby that I am aware of, but this is just one example of a variation. Sometimes the same coupon will be worth $1/1 item in one paper's insert, but only $1/2 in another paper for the same insert. If I'm going to dish out the same amount of money for a Sunday paper, I always strive to buy the paper with the most inserts for sure!